Today I thought I'd share some of my favorite Etsy finds. I went in search of boys top, and ended up finding several baby onesies that made me smile. 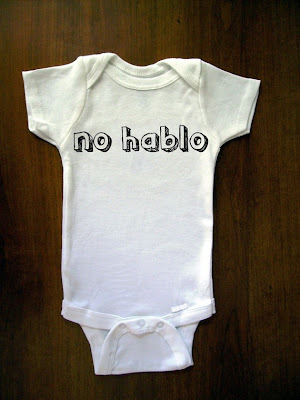 This No Hablo one piece, is by Truly Sanctuary. I love it. I think that it is hilarious. 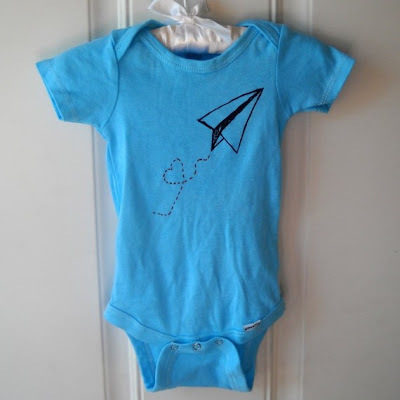 This Turquoise Paper Airplane Onesie from Caustic Threads, is adorable. I'd put it on a boy or girl. 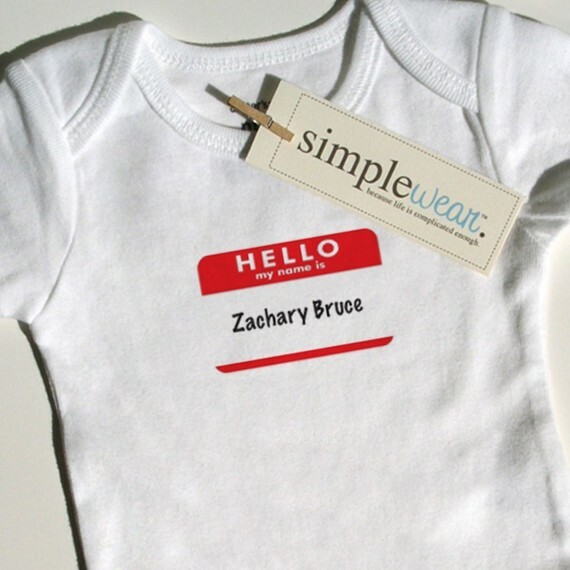 I love this Hello My Name Is onesie from Simple Wear. I also love tag and clothes pin labeling, it's perfect. This Tandem Bicycle Onesie would be adorable for twins. The top is by Tiny Vessel Apparel. Another great idea for twins is Copy and Paste Onesies. This particular set comes from Simple Wear. So cute! 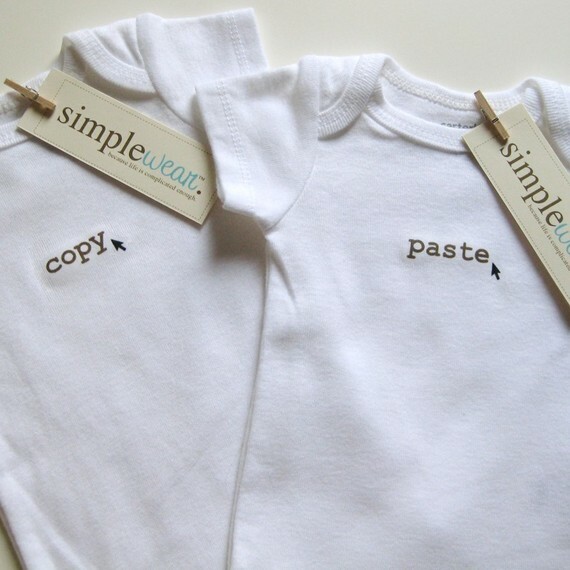 I love the simplicity of a onesie with a little something on it. Great Items! 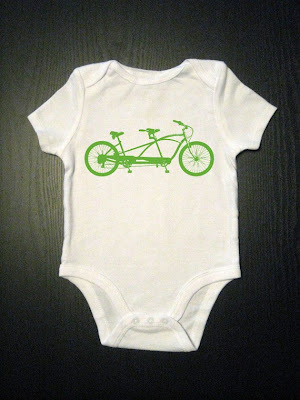 I am expecting so it is great to see what other onesies are out there! thanks for the mention!